The Chartered Physiotherapists at Bonne Santé have years of experience working with all types of sporting injuries. We have a passion for our work and sport. We understand that the goal is to get you back on the mountain as quickly as possible whilst respecting all safety aspects. In a world where alpine holidays are never long enough, early identification of a problem with optimal management and the most effective treatment is crucial. We aim to return your body back to health and sport. Whether you are on holiday in Val d’Isère, Tignes or the surrounding areas, or here for the season, our objective is to treat, manage and support you to enable a full and safe return to the slopes. At Bonne Santé we are able to treat a wide variety of conditions, and have a number of services to offer extra support. Many of these are geared specifically around the varied alpine sports offered across the region. We also run Yoga and Pilates classes, either in-clinic or in your own chalets, designed to not only work with our treatments but also to offer an alternative on those days when the mountains do not beckon. If there is a treatment not listed, please ask as one of our team may well be able to provide a similar, if not the desired, treatment. We cover many Alpine sports, including Skiing, Boarding, Cycling, Hiking and Climbing. Our team also actively participate in a number of sports themselves, so they don’t just treat the injury; they understand the techniques required to excel as well as the importance of the sport to the individual. Our team of Physiotherapists and Masseurs will help identify and support joint and muscle pain from Sports Injuries – or from simply using parts of the body that are struggling from over-use or lack of readiness . In some cases this could help individuals with known conditions such as arthritis or fibromyalgia, as well as easing the usual back pain caused by sitting at a desk for long periods of time. Knee injuries are very common, especially for people who play a lot of sport; with the knee being a weight bearing joint it is one of the most commonly injured parts of the body. Injury can affect any of the ligaments, bursae or tendons of the knee joint, and may also affect the cartilage, menisci and bones. At Bonne Santé we see a lot of these types of injuries, and have extensive knowledge and experience in how to treat and support individuals who suffer from them. We would never risk further injury and in severe cases would always advise hospital treatment. Rest assured, you are in safe hands, our team has seen many knee injuries over the years and are very well versed in how to administer advice or manage the right treatment. There are many types of arthritis, each with different causes, symptoms and treatments. Joints are where bones meet, including the hips and knees. As with joint and muscle pain, members of the Bonne Santé team can help support clients who have onset of arthritis or advanced arthritis. In this way they can help them to maximise their stay in the Alps by managing the pain, and supporting through various treatment options, triaged to provide a unique service for our customers. At Bonne Santé we support many people through various conditions, including pre/post-pregnancy and pre/post-surgery. We also have clients who visit the area to recuperate or take time out to enjoy their pregnancy where our services are called upon to help make their stay more enjoyable, relaxing and in some cases ease any painful niggles away. Migraines and other types of headache, such as tension headache and sinus headache, are common and can be painful. Migraine symptoms include a pounding headache, nausea, vomiting, and light sensitivity. Remedies include various types of pain killers, massage and acupressure techniques to manage the pain. At Bonne Santé we carefully triage clients who experience headaches in case it is caused by the onset of altitude sickness. Many people often don’t take on enough water during the day, and this too can ultimately cause headaches, which for some may develop into migraines. Our team will help relieve the pain, and assist in treatment management. Sciatica is pain originating in the sciatic nerve, which runs from the lower back down the back of a person’s legs. Symptoms of sciatica include burning or pain in the leg, leg weakness and shooting pain. Causes of sciatica may include lumbar spinal stenosis, degenerative disc disease, pregnancy and other factors. Treatments may include medications, steroid injections, physiotherapy, or surgery. 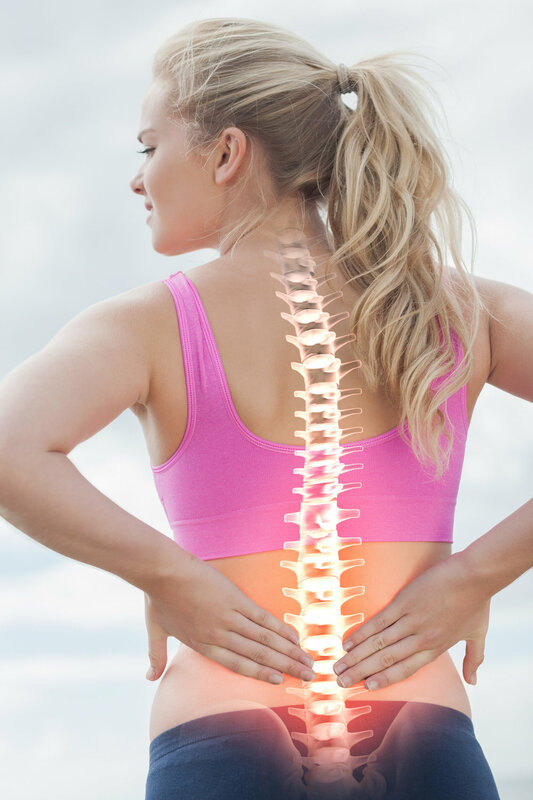 Many times, sciatica will ease on its own, but at Bonne Santé we offer physiotherapy to manage the pain for clients who experience sciatica on a regular basis, or who are undergoing other treatments and want to combine with the physiotherapy offered by Bonne Santé. Repetitive strain injury (RSI) may often start to be felt in one’s thirties and forties. It's a term used to describe pain in muscles, nerves and tendons caused by a repetitive action. It generally affects the arm, wrist, elbow, neck and shoulders and often happens to people who work a lot with computers or carry out repetitive physical work. At Bonne Santé we not only have a variety of treatments to manage this type of injury but, through our Biomechanical Assessment, we can look at how you move and suggest any techniques to change movement to relieve the strain. Our team will triage your requirements before recommending treatments to help you. Is a more severe Repetitive Strain Injury – at Bonne Santé we look at both Carpal Tunnel Syndrome and Repetitive Strain Injury as part of triage before recommending best treatment that could be a combination of massage, physiotherapy, strapping, wrist braces or other forms to help ease the strain where possible.